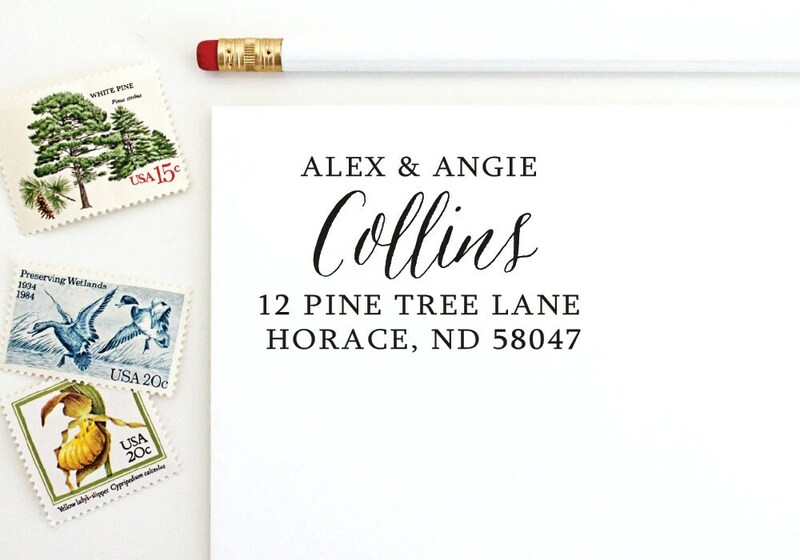 Add style to your envelopes with a custom address stamp. Use with your own personal stationery, save the dates, wedding invitations, or moving announcements. Perfect as a housewarming gift, engagement gift, wedding gift, or personalized bridal party gift. In the Optional Note message box on the last page of checkout, please enter your information exactly as it should appear on the stamp. Please note your uppercase/lowercase preference. Note: Your stamp may vary from the images above due to the length of your name and address. Abbreviations may be necessary to fit within the imprint size. A free proof is included with each purchase. You will receive your proof within 2 business days. Please reply with your approval. If you require any changes / revisions on your initial proof, you will receive a complimentary second proof with the requested changes within 2 business days. 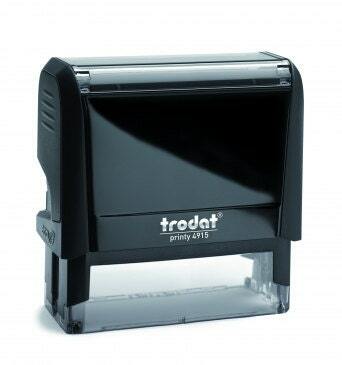 Once approved, your self inking stamp will be produced and shipped within 5 business days.